So with more Ph.D.s looking for alternative careers in industry, why shouldn’t companies demand these degrees? Doctorate holders need money, tech and finance companies need expertise, so the market is matching the two. Another reason might simply be the increasing need for both specialization and independent research in top technical jobs. Continuous innovation is the norm in knowledge industries, which compete by constantly offering new products. Ph.D.s teach students independent research skills. Also, the increasing technical complexity of the jobs might simply require Ph.D. levels of talent — corporate AI research, for example, is arguably as cutting-edge as anything in a university lab. But the practice of requiring Ph.D.s for technical jobs could have some drawbacks. 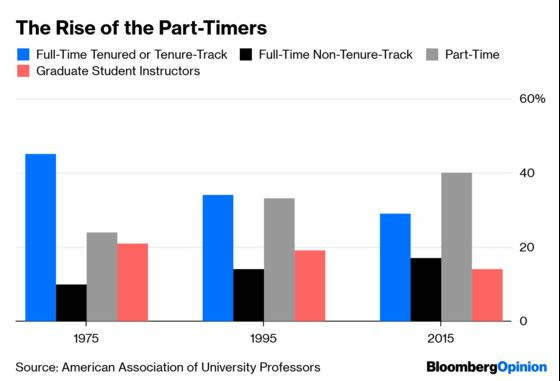 First, if the practice becomes an entrenched norm — that is, if companies start to assume that top jobs should go to Ph.D.s — it could create a segmented labor market, where qualified job candidates with only master’s or bachelor’s degrees would be overlooked and ignored. 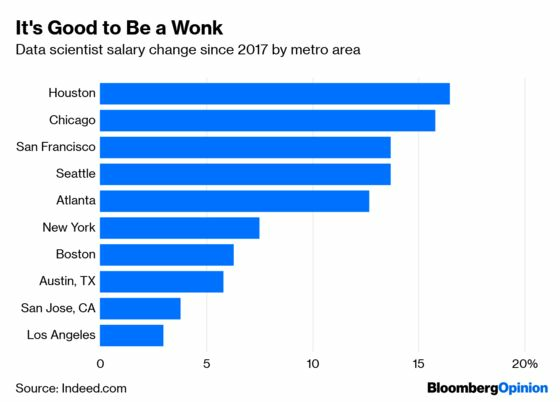 If Ph.D.s become de rigueur for top tech jobs, it could also entice many more Americans to get Ph.D.s. But the program of study required to earn the degree isn't optimized for sending people to industry. Because doctoral students work under professors, they get trained for the academic life. Academia is more independent than corporate research, especially for students trying to prove their research skills through single-authored papers. It’s also driven by different imperatives — an academic may choose to research an esoteric topic of interest, while a corporate research team tends to be driven by the demands of the market. The culture mismatch is so great that there is a whole industry devoted to helping academics transition to the private sector. Finally, Ph.D. programs come with a high opportunity cost. Grad students tend to spend six or seven of their peak years in school. During that time, they’re learning advanced topics and research skills, but they’re also spending time signaling their professorial abilities to potential academic employers. That signaling process could be wasted if they end up going into industry. 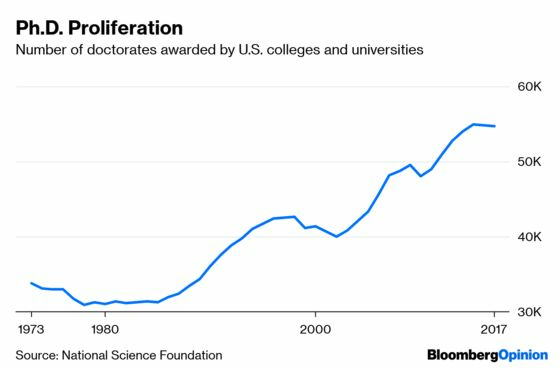 So there are reasons to think that the Ph.D. system is not ideal for producing the employees that U.S. industry needs. One possible solution is to offer Ph.D. tracks that guide students toward industry. This could involve having some advisers in the private sector, and doing more research at university-affiliated labs on or off campus. This research could be compensated by the companies, making the poverty of grad school less acute. Dissertations written by Ph.D.s aiming for industry could be team efforts instead of individual demonstrations of prowess. Industry-focused Ph.D.s might take less time and convey more certainty about students’ future careers. But companies should also think twice about requiring Ph.D.s for research jobs. Master’s or even bachelor’s degree holders are often highly talented, and many can learn Ph.D.-level research skills on the job as they go. Employers should be careful not to overlook the vast pools of talent among those who lack the most polished credentials.